Homebrewers can measure the amount of sugar content in their wort with hydrometers available at MoreBeer! These hydrometers gauge how much sugar there is in a liquid. Taking this measure both at the beginning and the end of fermentation enables one to calculate the amount of alcohol in the finished beer and to estimate how well the yeast has performed. The Beer Bug measures the actual specific gravity, alcohol percentage and temperature of fermenting beer at one-minute intervals and relays that data to your own free account online. The Triple Scale Hydrometer, which tests starting and finishing beer gravity, or sugar content, in beer or wine fermentations, has three scales: specific gravity, potential alcohol and brix. 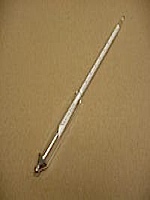 The Proof and Tralle Hydrometer is an alcohol hydrometer to measure the alcohol content in a liquid. Distilleries use Proof and Tralle hydrometers to check the proof or alcohol content of their products. 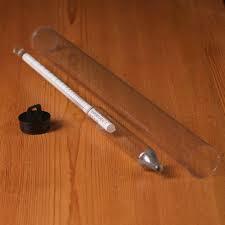 How To Use a Hydrometer Add your sample to the hydrometer jar (sample holder). Make sure the temperature is in the recommended range as per your specific hydrometer. 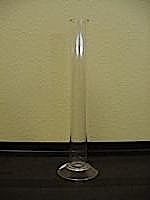 Use enough sample to make sure the hydrometer does not touch the bottom of the sample jar. 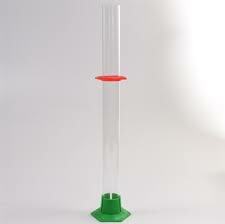 Place the hydrometer into the liquid and allow it to settle (maybe do this over a sink in case of overflow!). 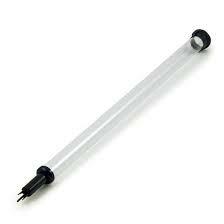 Take care that the hydrometer does not touch the sides of the hydrometer jar or it will throw the reading off. Where the liquid intersects the scale is your reading. Important: The liquid will lift up a little where it touches the wall of the sample jar and the hydrometer itself. This curve in the liquid surface is called a meniscus. Do not take your reading at the top of the lifted edge. Rather, take your reading at the lowest level of the liquid surface, the bottom of the "meniscus", and project this onto the scale.